KATHMANDU, August 4: Transparency International, the global coalition against corruption, and its chapter in Nepal have issued a press release on the Nepal government to end the hunger strike of Dr. Govinda KC, the 2015 winner of Transparency International Nepal’s National Integrity Award. They have insisted the government approve the Medical Education Bill, which was drafted with the help of Dr. KC. “Dr. KC’s goal is to ensure that medical education in Nepal is free from nepotism and cronyism. The people of Nepal must be confident that their doctors and medical professionals are achieving the highest standards and that the profession is not co-opted by money or power. The government should not renege on an agreement that was reached to enshrine these principles in law,” said Shree Hari Aryal, President of Transparency International Nepal. 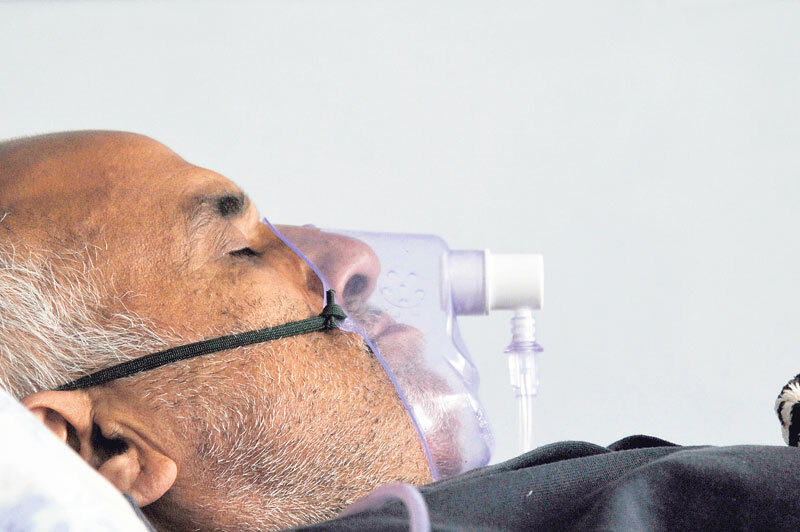 Dr. K C, an orthopedic surgeon at Kathmandu’s Tribhuvan University Teaching Hospital, started his 11th fast-unto-death in past five years after the government failed to address his two-point demand. KC has signed a 12-point agreement with the government after breaking his 10th fast after 22 days on December 5, 2016. No Comments to "Transparency International urges Nepal govt to end Dr. KC hunger strike"